Los Angeles, CA: Allied Wallet is a globally leading provider of online payment processing, offering various payment solutions in 196 countries all over the world. Their recent agreement and recognition as a General Principal Member with China UnionPay will allow them to expand their coverage and extend their reach to more merchants and consumers. Allied Wallet is a direct acquirer and issuer, offering safe and secure, cross-border, multi-currency transactions. As a payment facilitator that interconnects so many payment options and types, Allied Wallet has prided itself on simplifying online payments for over a decade. As a General Principal Member, Allied Wallet will enable merchants to accept over six billion China UnionPay cards from cardholders all over the world. Additionally, Allied Wallet will be able to issue China UnionPay prepaid cards, and cardholders of this co-branded debit card can use them with any of the 41+ million merchants that accept China UnionPay in over 160 countries. “China UnionPay is now the largest bank card group in the world with a 37% share of the $21.6 trillion global payments market. 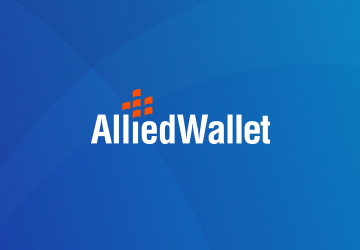 We’re proud to partner with such a successful brand as a Principal Member and expand our service offering to merchants and consumers globally,” said Allied Wallet CEO – Dr. Andy Khawaja. Click here to read more on China UnionPay.